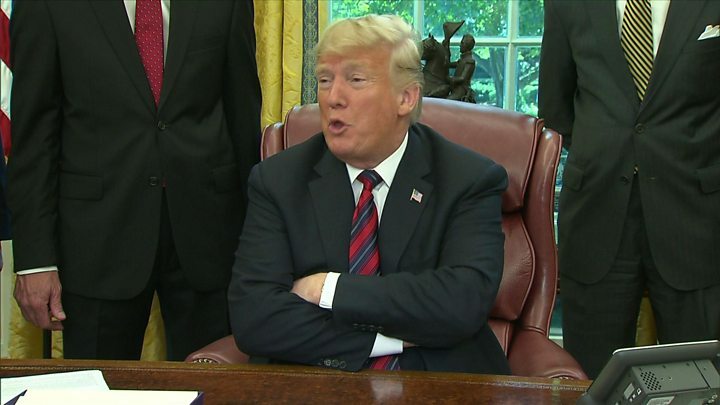 US President Donald Trump has called Saudi Arabia's response to the murder of the dissident journalist Jamal Khashoggi "the worst cover-up ever". Those behind the killing in the Saudi consulate in Istanbul three weeks ago "should be in big trouble", he said. 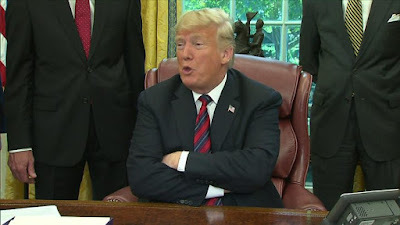 Shortly afterwards, Secretary of State Mike Pompeo said the US would "punish those responsible" and had revoked visas of 21 identified suspects. The Saudi government has blamed the murder on rogue agents. But President Erdogan of Turkey has said the journalist was the victim of a carefully planned "political murder" by Saudi intelligence officers and other officials. Speaking to reporters at the White House on Tuesday, Mr Trump said: "They had a very bad original concept, it was carried out poorly and the cover-up was the worst in the history of cover-ups." The Saudi government has provided conflicting accounts of what happened to Khashoggi, a US resident and Washington Post contributor. After weeks of maintaining he was still alive, senior officials now say the 59-year-old was murdered in a rogue operation after visiting the Saudi consulate in Turkey.